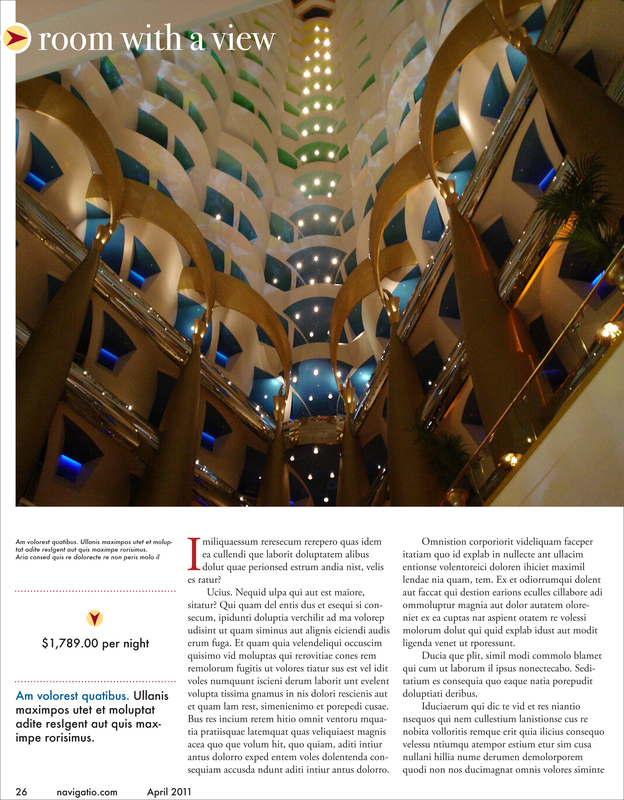 Redesign and logo design for reinterpretation of Conté Nast Traveler Magazine. 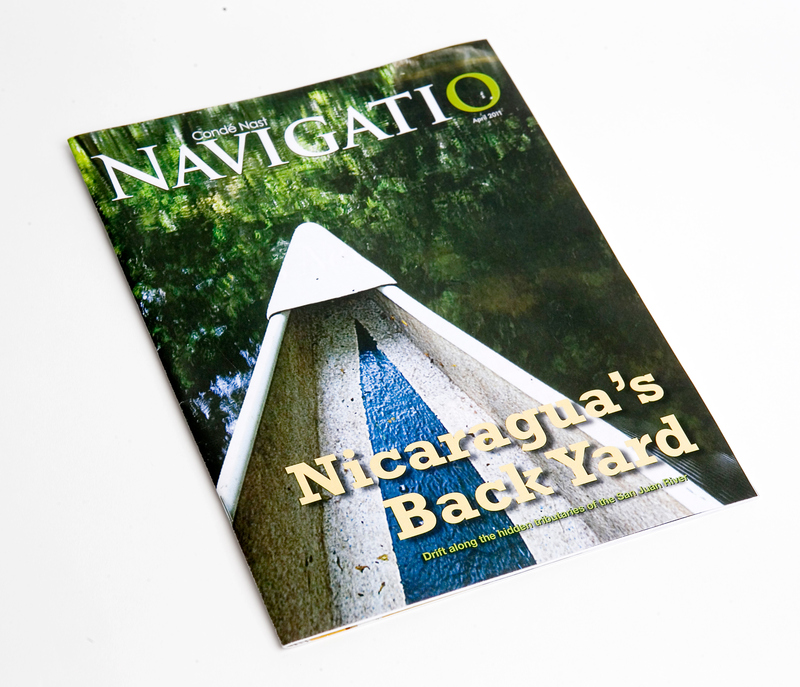 Reenvisioning the Conté Nast Traveler Magazine as Navagatio. 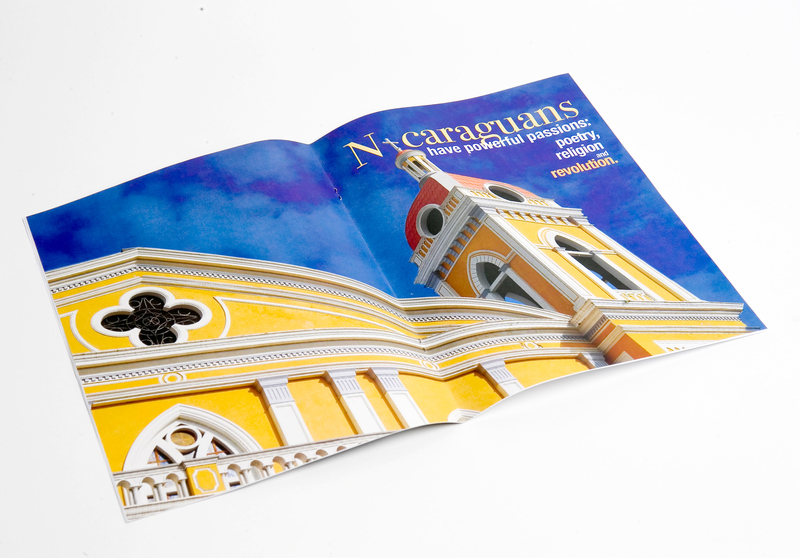 This design, including logo, cover, and editorial layouts, was created in the Magazine Design class at the University of Baltimore.